Samsung’s first flagship of the year -the Galaxy S9 didn’t quite fly off the shelves with poor record sales volume, as a result, Samsung lost a large chunk of its market shares to its rivals. The company has announced the Galaxy Note 9 right on time and could be its saving grace for the later part of the year. The Galaxy Note 9, announced a few hours back is expected to hit the shelves in several markets in a couple of days. While the device was immediately available for Pre-order in the U.S, Samsung India has now announced the pricing and pre-order details for the Indian market. The device is now available for pre-order in India via Samsung’s official online store and is offering the Galaxy Gear Sports smartwatch worth Rs 22,900 at just Rs 4,999 as an incentive for pre-ordering the Note 9. Additionally, the company is also offering up to Rs 6,000 on purchasing the device with an HDFC Bank Credit card, as well as an additional Rs 6,000 on an exchange on select smartphones. 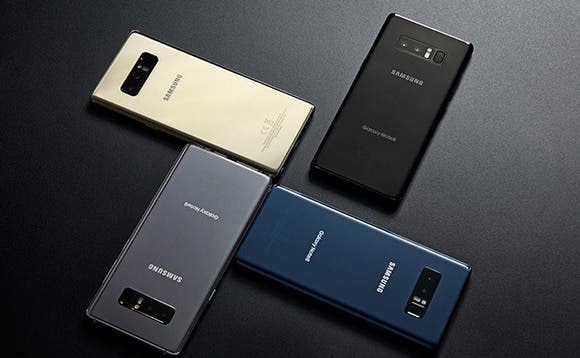 It appears the country will be getting the Note9 only in Midnight Black, Ocean Blue, and Metallic Copper color options. The device is priced at Rs 67,900/$96 and Rs 84,900/ $1230 for the base and premium variant in that order. Samsung India says it will start shipping the Note 9 from August 20th, while it is tipped to arrive in other countries on August 24th. The Galaxy Note is a merger of the best in the Galaxy Note8 and the Galaxy S9. It features a 6.4-inch QHD+ AMOLED panel, upgraded S Pen with Bluetooth LE, and a 4,000mAh battery that the company claims will deliver day-long battery life and not forgetting the native DEX support which was first seen in the Galaxy Tab S4. Full specs details here.